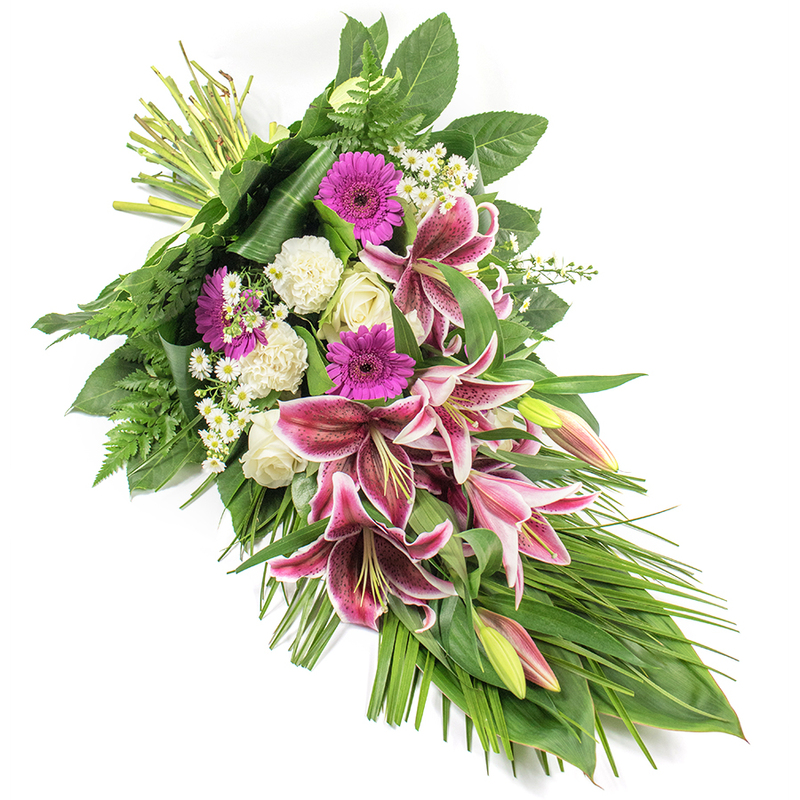 Dark pink gerbera, purple liliums and white roses are combined with white carnations and gypsophila to create this spray of grace. It is an appropriate flower arrangement to honor your great loss. Thank you. The flowers were very beautiful. It was the first time I'd ordered flowers though a website but have to say it was worth it. It was easy, quick and the arrangement was lovely. Very good service. Thank you very much for the beautiful spray. My order from Handy Flowers was delivered safe. They didn't let me down. Ordered funeral flowers to be delivered to the funeral home. This was a really good option because the funeral was far away from my town and I couldn't go. The recipient said that the flowers looked amazing. Thank you very much! That was a really nice spray. Couldn't have asked for better service online! The funeral flowers were pretty. The delivery was punctual. Beautiful flower arrangement. We recommend Handy Flowers to others in need of funeral flowers and tributes.